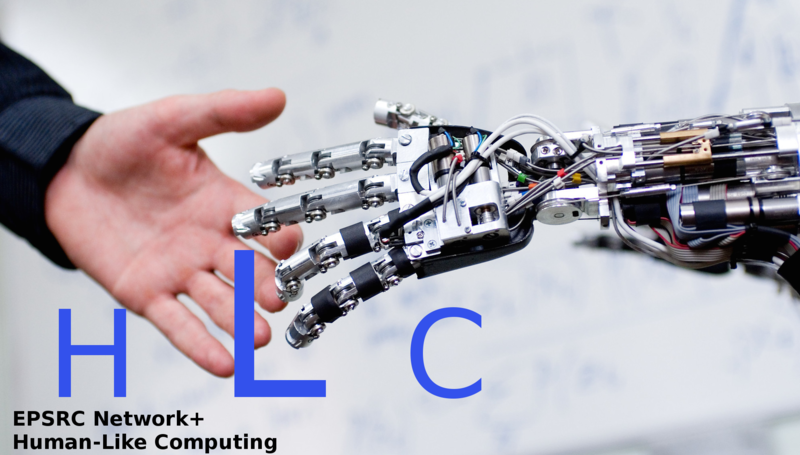 The purpose of the EPSRC funded Human-Like Computing Network+ is to support the development of a UK-wide multi-disciplinary community of researchers within the EPSRC Priority area of Human-Like Computing (HLC). The Network will have an overall budget of £1.64M over five years and will support Kick-Start studies, travel grants, international HLC workshops and HLC resources and websites. The Network fits within the EPSRC national priority areas of a) New and Emerging areas, b) People at the Heart of ICT, c) Cross-Disciplinarity and Co-Creation and d) Safe and Secure ICT. Human-Like Computing (HLC) research aims to endow machines with human-like perceptual, reasoning and learning abilities which support collaboration and communication with human beings. Such abilities should support computers in interpreting the aims and intentions of humans based on learning and accumulated background knowledge. The development of computer systems which exhibit truly human-like computing and co-operative properties will require sustained inter-disciplanary collaboration between disparate and largely disconnected research communities within AI and Psychology. The proposed Network is needed in order to forge a new UK-based scientific community involving collaboration between leading groups in these disciplines. The Network will build on the successful interactions of leading AI and Psychology groups represented at the EPSRC workshop on Human-Like Computing meeting (Bristol, 17-18 February 2016) and the EPSRC funded Machine Intelligence 20 workshop on Human-Like Computing (Cumberland Lodge, 23-25 October 2016).